Taken at 7.30am in the north Highlands. I was not looking to take a photograph but stepped out of the house, saw this fantastic sky and fortunately had my camera with me. There has been no post-production adjustments to the image or the colours. 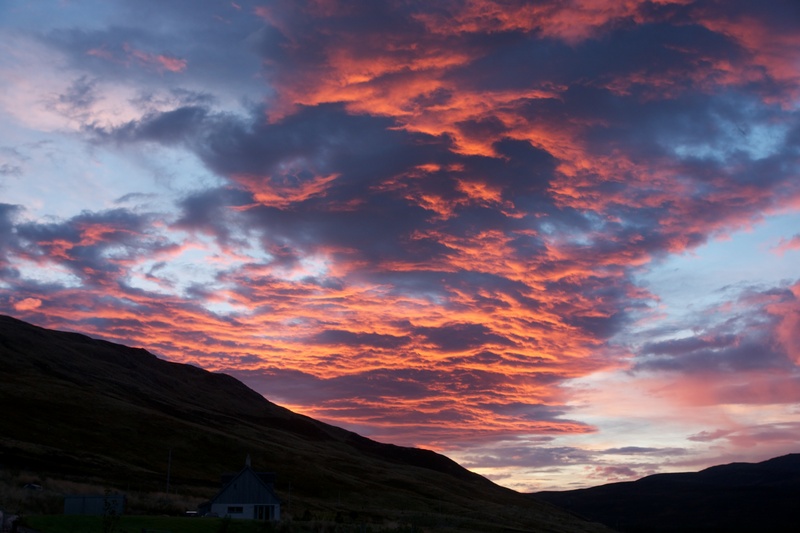 Posted in Photography, Scotland and tagged Croick, photography, Scotland, sunrise. Bookmark the permalink.